HomeLifestyleWhat is happiness for you? Have you ever stopped to think what it means to be truly happy? And above all, have you managed to find out how you can get the much desired happiness? 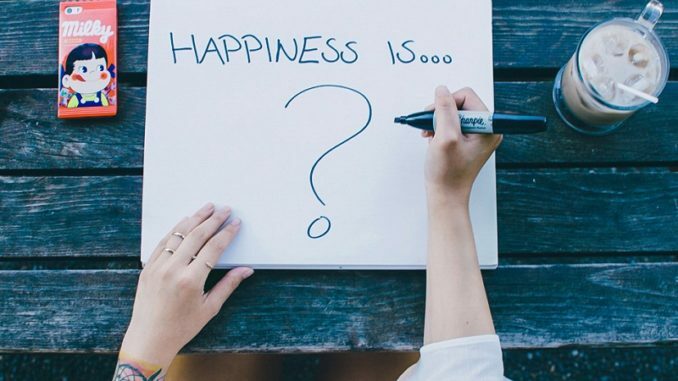 What it is happiness for you? If we look around us we realize the great diversity of people around us. Very different from us people with their own priorities, values, hopes and fears. Although there are many things that separate us, one unites us in a unique way: The desire to be happy but that happiness sometimes we can be somewhat elusive. We still do not know what brings us closer or farther away from it, so just confused, using large amounts of energy on issues that contribute little to our welfare. As Aristotle said, “we all agree that we want to be happy, but when we try to clarify how we can be begin discrepancies”. From my point of view (and I can be totally wrong), permanent happiness cannot be found in external situations, for the simple fact that everything, absolutely everything, is transient. If your happiness depends on external factors (family, work, family, money, etc. ), they can disappear at any time, and with them the apparent happiness. I used to believe that happiness was going to have possessions, to meet the expectations of society guaranteeing fulfillment: couples + kids + money + work + home + etc. However, this formula, at least in my case, it did not work. You may also like to read another article on LifeStyleQA: They are related to age and happiness? So if permanent happiness cannot be found out, it has to be within us. There are no more places to look. It very well Henry Van Dyke: “Happiness is inside, not outside; therefore, it does not depend on what we have, but what we are” and strengthened it simple and flatly John Locke. “Men always forget that human happiness is a disposition of mind and not a condition of the circumstances”. And what is this disposition of mind that makes us happy? I believe that there are at least two essential components, two mental attitudes that greatly favor the feeling of fullness. In my particular recipe for happiness, the first ingredient is the full acceptance, be satisfied with what we have or lack. Accept who you are, with your defects and virtues. Lead and accommodate everything you feel. For example, acceptance is critical in managing our emotions. There is an unhealthy obsession with having to be always cheerful and happy, and this is simply impossible. All our emotions are necessary and have their moment and meaning. If we are to be always happy when our environment such as in the death of a loved one occurs, the sadness that bathes the situation sinks us. Everything that you reject, you submitted and even more so when it comes to your emotions. Accept that neither we nor life are perfect, it is a great way to feel happy. The second of my fundamental ingredients is gratitude. Heart recognizes everything wonderful that you already have and are. Something so simple but yet so profound and transformative, and especially so scarce in our society. For us, rather than grateful we really like we are complain. It seems that is the national sport, complaining of the time, the couple, children, politics, everything, anyway! Whatever! In fact, humans are the only animals able to increase our suffering through thoughts. And we do so often through continuous complaint. 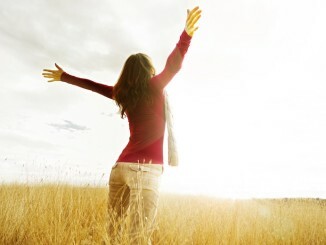 You may also like to read another article on LifeStyleQA: Positive Psychology: How to get the most out of our lives? And the bad thing is that complaints, both repeated, become a lifestyle. A lousy lifestyle that leaves prisoner to the complainant. Mentally and emotionally the complaint autoconditional you to be aware of everything bad you can find on the road. It is as if you closed the gates to the good; stop perceiving it, pay no attention. And so, it is very difficult to be happy. This message of gratitude appears in many religions and spiritual practices throughout the history of mankind and it is no coincidence. Through the thanks you get to enjoy life no matter what happens and your mind is made perfect in finding the beauty and magic in everything that happens. It seems difficult, but it is the only way. I invite you now to reflect on your own life, how much time you spend rejecting daily life, yourself? How many times you throw in the complaint? And above all, what are you going to change today to increase acceptance and gratitude in your life to be a little happier?